Pay Off Your Outstanding Property Taxes in Houston in As Little As 3 Days! Our Houston office receives customers by appointment only. Please make sure you schedule your appointment with one of our representatives. Can Direct Tax Loan help pay off my property taxes in Houston TX? By working directly with your Houston county tax office, Direct Tax Loan can instantly pay off any outstanding money you owe. We will also accommodate you with a variety of affordable monthly payment options that meet your budget. Direct Tax Loan is a property tax lender that requires no out-of-pocket fees or a down payment. Your loan is the only expense you deal with through Direct Tax Loan. 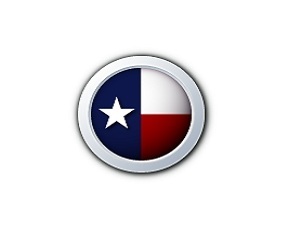 All loan costs are regulated by the State of Texas and are included in your loan. Based on the amount of time you want to pay off the loan within, the loan amount, and the property type, we calculate a cost and interest rate for you, at a lower price than your county will charge you. How fast can I get my property tax loan in Houston TX? We can process and approve your property tax loan within 72 hours, and your Houston property taxes are usually paid within seven to ten days. Failure to pay property taxes can add up – fast. But waiting to act actually costs you more, especially within the first year. Your taxing unit is allowed to charge penalties, interest, and fees equal to as much as 47% of your delinquent taxes during your first year. After the first year, your balance will continue to grow at a rate of 1% a month. Financing your property taxes with Direct Tax Loans is far cheaper and saves you more money than inaction. Direct Tax Loans understands that property tax loans aren’t right for everyone, and will work with you if there is a better option available to you. For instance, if you are over the age of 65 or considered disabled, we can help you seek a tax deferral for your property. We can also give you the tools to negotiate a payment plan with your tax office, which is legally required to offer payment plans on homestead properties. If you do pursue a property tax loan, Direct Tax Loans follows State of Texas regulations that protect borrowers. Whichever option is right for you, we will help you pursue it in order to stop your taxing unit from foreclosing on your property. A property tax loan helps you to pay your property taxes quickly, saving you money and preventing foreclosure. When you are delinquent on property taxes, Direct Tax Loan pays your taxes directly to your taxing unit and sets up a payment plan for you to repay the loan. The taxing unit transfers a lien on your property to Direct Tax Loan, who will release the lien after you pay back the loan. The lien grants the taxing unit or Direct Tax Loan the right to foreclose on your property if you default, acting as a security for payment. While tax lenders in Texas foreclosed on just 0.7% of their loans, considerably less than the foreclosure rate of mortgage lenders, Direct Tax Loan will go above and beyond to help you in preventing a foreclosure. Property tax loans are advantageous for a variety of reasons. They prevent your taxing unit from issuing penalties, interest, and collection fees that increase your delinquent amount owed. At Direct Tax Loan, there is no money down required to receive the loan and there’s no prepayment penalty, avoiding any out-of-pocket fees for paying the loan off early or paying more per month than negotiated. Direct Tax Loans also does not perform credit and background checks, house inspections, or background checks, allowing your loan process to be completed within just one week! Perhaps most importantly, a property tax loan can immediately prevent your taxing unit from proceeding with a lawsuit, helping you avoid legal costs and possible foreclosure. Direct Tax Loan services all of our own loans. We collect our own payments and provide you with statements on a regular basis. You will never have to call another company to get information about your loan. Customer will get exceptional service from our pleasant office staff, and will not have to worry about dealing with a different individual every time they call. All account information is kept within the organization to insure your property tax loan information stays confidential. Our representative are only a call away from assisting you with your overdue taxes, and setting up a plan that works within your budget. All of our payment plans are customized to meet every individual clients’ situation. With everyone facing a different set of circumstances, Direct Tax Loan payment plans are customized to the individual approved for the loan. Direct Tax Loan also works with our clients to restructure addition tax money due outside of the original loan. If you have an outstanding loan with us and know that you will be late on your upcoming taxes, contact us ASAP. Don’t hesitate to reach out, we want to help you get the property tax advice you need. Direct Tax Loan does not review your credit score, so bad credit isn’t an issue! 98% of our applicants are approved even if they have bad credit. Because your loan is secured with your property, having a high credit rating is not required. In fact, we won’t even run your credit. Why add an inquiry onto your credit report if it isn’t necessary. Direct Tax Loan makes it easy for anyone looking to qualify for a property tax loan to get approved. If are having problems selling your home due to issues with your property title, Direct Tax Loan can assist you in investigating and clearing your home title. Your delinquent property taxes are our top priority. Direct Tax Loan does not charge an application fee, or any upfront or out-of-pocket expenses. Down payments are not necessary either. All fees are rolled into your loan. We will be happy to discuss the various options available to you for your loan at no additional cost. Not only that, but we will provide a full estimate without it costing you a dime. A “Good Faith Estimate” will be sent to you so that you know the exact terms of your loan. We work hard at saving our clients’ money and providing the much needed property tax help. Working with some of the most knowledgeable individuals in the Houston mortgage and property tax industry, Direct Tax Loan prides itself of having some of the fastest loan turnaround time. Loans are typically pre-approved within forty-eight hours. A review of a completed application and final approval takes around seventy-two hours from start to finish! The sooner you contact Direct Tax Loan, the sooner you can forget about your overdue property taxes. How to get rid of delinquent property tax fees and foreclosures? If you are a resident of Houston, Texas who may be behind or unable to pay tax bills, contact Direct Tax Loan for immediate assistance. We offer attractive rates and flexible terms to all property owners. We are a reputed property tax lender that provides capital solutions for property taxes to individuals and businesses. We offer property tax loans in Houston TX and help you avoid county penalties, interests, and exorbitant tax fines. Furthermore, we strive to find a perfect solution to meet every borrower’s needs. We understand that every customer’s situation can be different and our knowledgeable tax advisers devote focused efforts in order to find the best options to fulfill your individual requirements. Our loan eligibility criteria is pretty simple and straightforward and our loan application process is quicker and easier. Rely on us to finance your property taxes and deal with your delinquent or overdue real estate taxes. Contact our friendly and courteous representatives for further assistance. Home Tax Solutions in Houston TX is here to solve all of your property tax problems. Have you become delinquent on your property taxes or do you fear that is your fate in the near future? 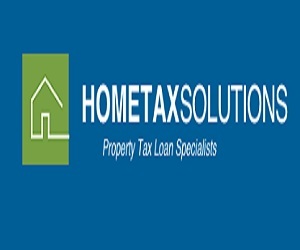 The purpose of Home Tax Solutions is to provide you with a residential property tax loan so that you are no longer under threat of losing your property. The property tax loans that Home Tax offers include unique features that can accommodate any circumstance. These are: repayment terms from 1 to 10 years, no pre-payment penalties, fixed rates for the duration of the loan, no application fee for residential properties and the most competitive rates and closing costs in the state of Texas. Tax Rescue, a property tax lender in Houston TX, offers both residential and commercial property tax loans. The staff at Tax Rescue are committed to providing quality care to every property tax loan applicant, not only the applicants that instantly qualify. Similarly, most property owners in Houston TX will qualify for a property tax loan, even if there is a history of bad credit or no credit. Tax Rescue also offers low monthly payments as well as no loan broker fees, resulting in more money in your pocket at the end of the loan payment process. For both commercial and residential property tax loans, Tax Rescue is able to process the loan with limited documentation. 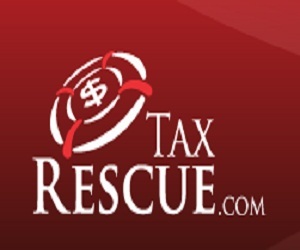 In other words, Tax Rescue does their best to make sure you only jump through the hoops that you need to. A property tax lender in Houston TX, Texas Property Tax Loans, provides and maintains a high quality of service for all of its residential and commercial loan customers. Starting out in 2005, the property tax loan company services its own loans and ensures that each customer makes it successfully through the life of the loan. You can apply online for both a residential and a commercial loan, and you only need to provide the bare minimal of information. Texas Property Tax Loans will make initial contact with you after you complete the online portion of the application. The company hopes to make your loan process easier with an online payment calculator, as well as online applications including one for its Fast Track Loan.